Our "Couleur de Vie" bouquet is a bold and bright bouquet that comes with a FREE box of Belgian chocolates and FREE delivery. 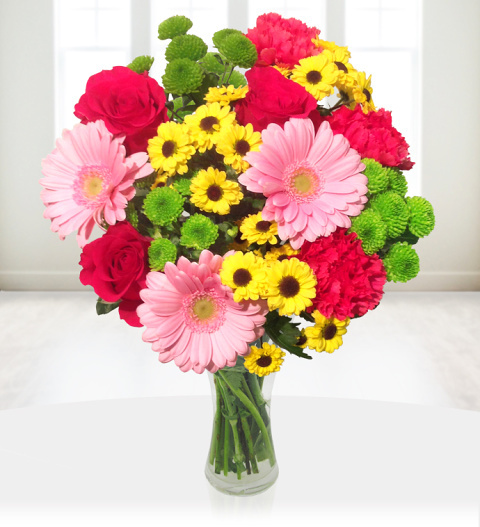 This hand tied arrangement is skilfully arranged with Roses, germini flowers, chrysanthemums, carnations and feeling green blossoms. The "Couleur de Vie" is simply perfect for all occasions bringing that instant wow fact. Free delivery included!